"No one enjoys the Middle East as much as Rory McIlroy. During the past decade, he has played in 26 European Tour events in the region, and has finished inside the top 10 on 23 occasions." Francesco Molinari travels to the Middle East in pole position to clinch this season's Race 2 Dubai title. The Italian currently enjoys a sizeable lead over his nearest challenger, Tommy Fleetwood, ahead of the season-ending DP World Tour Championship which tees-off on Thursday. And if Molinari were to remain in top sport at the end of 72 holes, there would be no more worthy European Tour No 1 than the 36-year-old from Turin. Molinari is coming towards the end of a career-defining year, having won the two most prestigious titles on European soil during 2018. After winning the BMW PGA Championship at Wentworth in May, he soared even higher at Carnoustie where he lifted The Open trophy following a bogey-free final 37 holes. A few weeks earlier he'd won on the PGA Tour for the first time and, during September, he won all five of his matches as Europe regained the Ryder Cup. Don't be surprised if Molinari's week fails to catch fire, as his form has tailed off significantly following the highs of May, July and September. However, Molinari remains the clear favourite to take the season-long title unless, somehow, Fleetwood can exert a little pressure by winning in Dubai. The Greg Norman-designed Earth Course will be staging the season-ending finale for the 10th time. Opened in the same year as it made its European Tour debut, the Earth Course has large undulating greens and reasonably generous fairways. There are 99 bunkers on site, with water having an impact on just five holes. No one enjoys the Middle East as much as Rory McIlroy. Not only does the 29-year-old have a great record at this week's venue, he usually contends whenever he travels to this part of the world. During the past decade, McIlroy has played in 26 European Tour events in the region, and has finished inside the top 10 on 23 occasions. He has enjoyed podium finishes in more than half of his starts in the Middle East, while collecting four victories. Two of these successes were at the Earth Course, where his poorest finish in eight events was a tie-for-11th seven years ago. 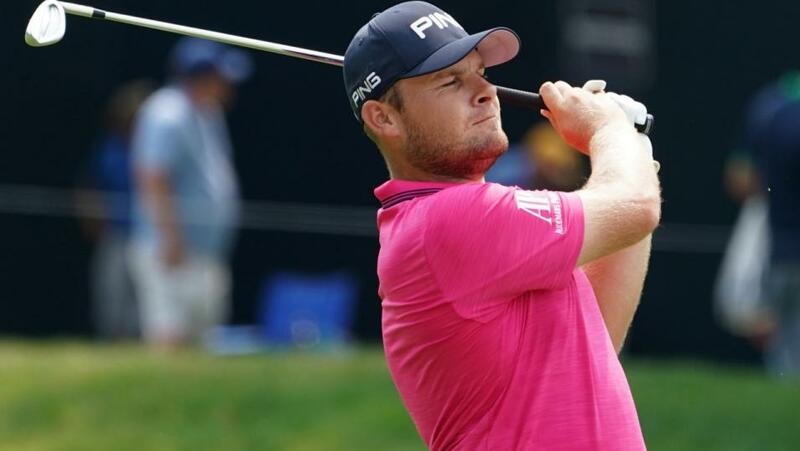 Tyrrell Hatton and Henrik Stenson have strong histories in this event while last week's winner in South Africa, Lee Westwood, was crowned the inaugural champion nine years ago. Of this trio, Hatton should be the most hungry as he attempts to cement his position among the world's top 25 players. Back-in-form Shane Lowry was runner-up in Dubai 12 months ago when Sergio Garcia finished in a tie-for-fourth. Among the Earth Course debutants is American Xander Schauffele, winner in China just a few weeks ago. As for Fleetwood, who must win this week to stand any chance of overhauling his close friend Molinari, the Englishman has a best finish of tied-ninth from five previous visits. His current form remains exceptional with six straight top-dozen finishes. And two others with good recent form are Hao Tong Li and Lucas Bjerregaard who has now risen to 46 in the World Ranking, thanks to a landmark year for the Dane. Going into last year's DP World Tour Championship, Bjerregaard wasn't even in the top 180.